Between them winning 10 awards; stars of LA Soiree, Les 7 Doigts and Cirque Du Soleil hit Londons Underbelly Festival to entertain with a rip-roaring comedy performance, which will have your cheeks aching and your stomachs hurting. As we watch Europe slowly fall apart, and the questions and concerns begin to rise - the one certain thing that is certain, Europe will never lose its sense of humour! Eurotrashed sees Australia, Sweden and France coming together in an outrageous style to infuse crazy circus skills and comedy. Your hosts, Love, Eriksson and Hatton, are going to take you on one of the funniest journeys you'll ever experience and give you a night of pure entertainment. Sound good to you? 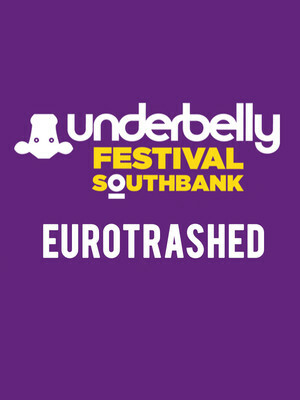 Share this page on social media and let your friends know about Eurotrashed at Underbelly Festival London.